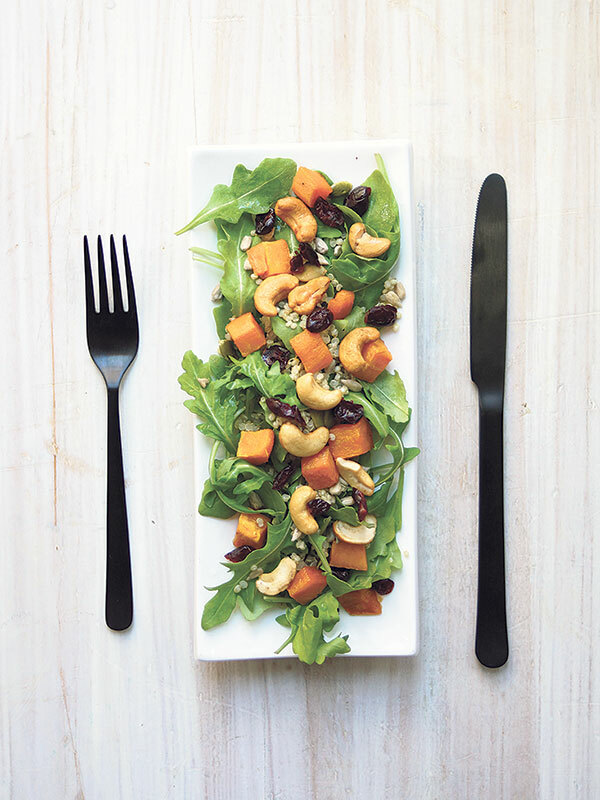 This is a perfect salad to eat for lunch on a weekday, or as a first course for a brunch, or even during a holiday like Rosh Hashana. It’s especially nice when plated individually and topped with the sweet potatoes and cashews. If you don’t have sweet potatoes, you can replace them with sauteed red peppers. 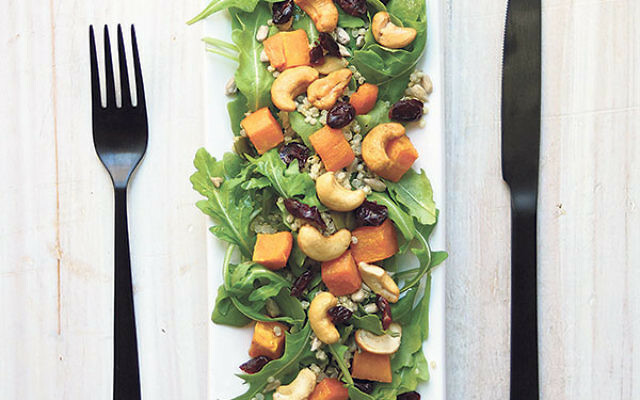 In a large mixing bowl, combine all the salad ingredients except cashews. In a small jar or bowl, combine all the dressing ingredients. Excerpted with permission from Kosher Taste. The Nosher food blog offers a dazzling array of new and classic Jewish recipes and food news, from Europe to Yemen, from hallah to shakshuka and beyond. Check it out at TheNosher.com.